Snow Removal Binghamton, NY at (607) 862-0036. Winter is not always pleasant and mild, and it can get difficult to deal with shoveling snow from your home or business. Most commonly, people choose to hire commercial snow removal professionals to take care of their snow removal needs. 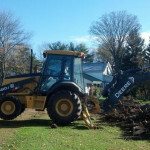 A-Construction Binghamton, NY is a full-service snow removal company known for offering excellent service to clients. With snow removal equipment and total dedication to customer satisfaction, our snow management experts always get the job done right. 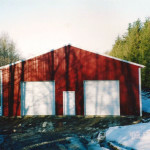 Call (607) 862-0036 A-Construction Binghamton, NY or visit A-Construction on the web at https://a-construction.com/. With the use of innovative systems, we have also been able to create safe, cost-efficient solutions for our clients for any winter weather event. Whenever you need the most professional snow removal, snow management, parking lot clearing, sidewalk clearing, salting, ice control, shoveling, maintenance and other snow removal services, ensure that you can count on A-Construction Binghamton, NY. Why should you choose A-Construction Binghamton NY? With skilled and talented employees, A-Construction Binghamton, NY takes property maintenance projects like snow removal and finishes the work on time. They have excellent service with well-trained employees that can offer services like de-icing, plowing, snow removal, etc. A-Construction Binghamton, NY dares Mother Nature to bring it on because its employees will be ready to battle any storm. The goad of A-Construction is to return road, parking lot, driveway, etc. surfaces to safe driving conditions. The well-trained employees easily handle different complexities concerned with the projects including removal of snow at homes and businesses. Understanding the clients’ needs, they offer quality and affordable snow removal services in Binghamton, NY. A-Construction Binghamton NY truly takes great pride in giving their customers a safe winter with excellent customer service using the most innovative technology available in the snow removal sector. They absolutely treat each property as a priority and their professionalism and quality of service stands out. 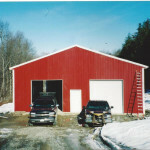 Call (607) 862-0036 A-Construction Binghamton, NY or visit A-Construction on the web at https://a-construction.com/.